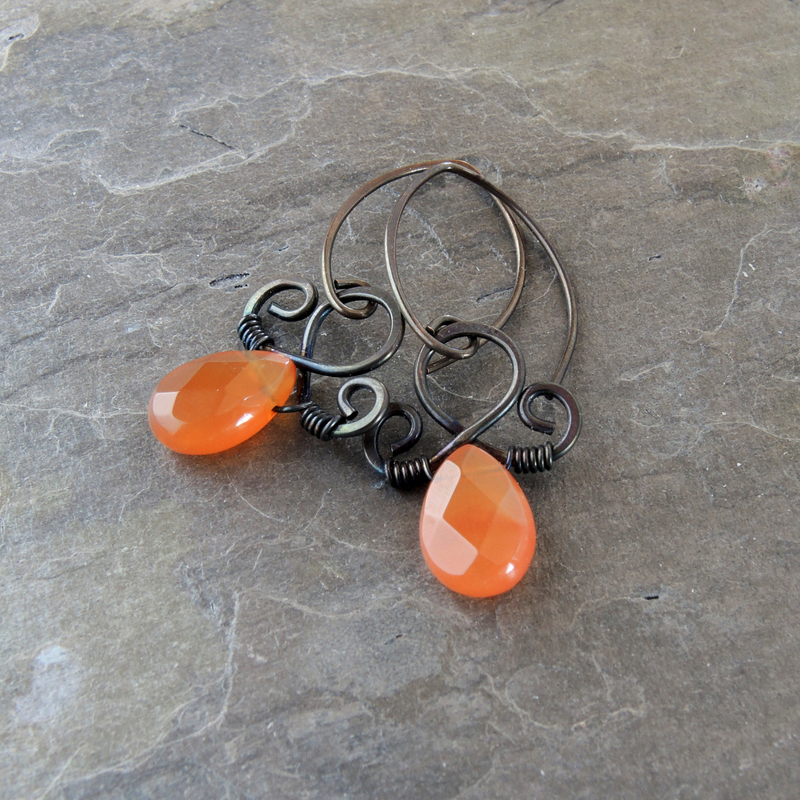 Sweet as can be, these wire wrapped carnelian gemstone earrings glow like little embers. Beautiful high quality carnelian beads are faceted flat teardrops. The orange stones have a uniform red orange color with warm translucence. The faceted surface reflects light that appears like a pattern of diamonds across the stone. 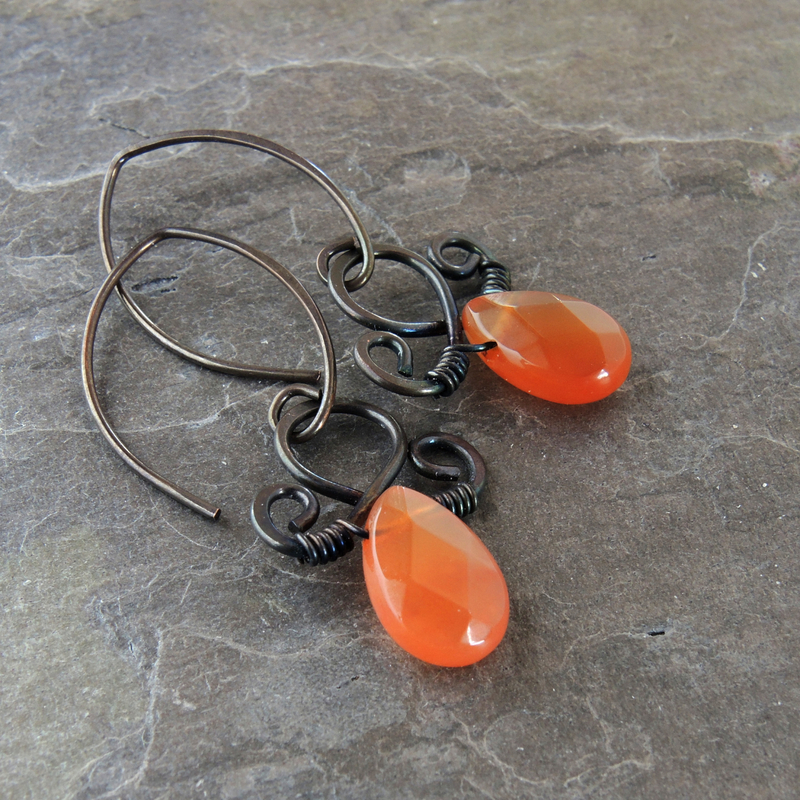 The orange agate gems are perfectly highlighted by the dark antiqued copper wire work and ear hooks. 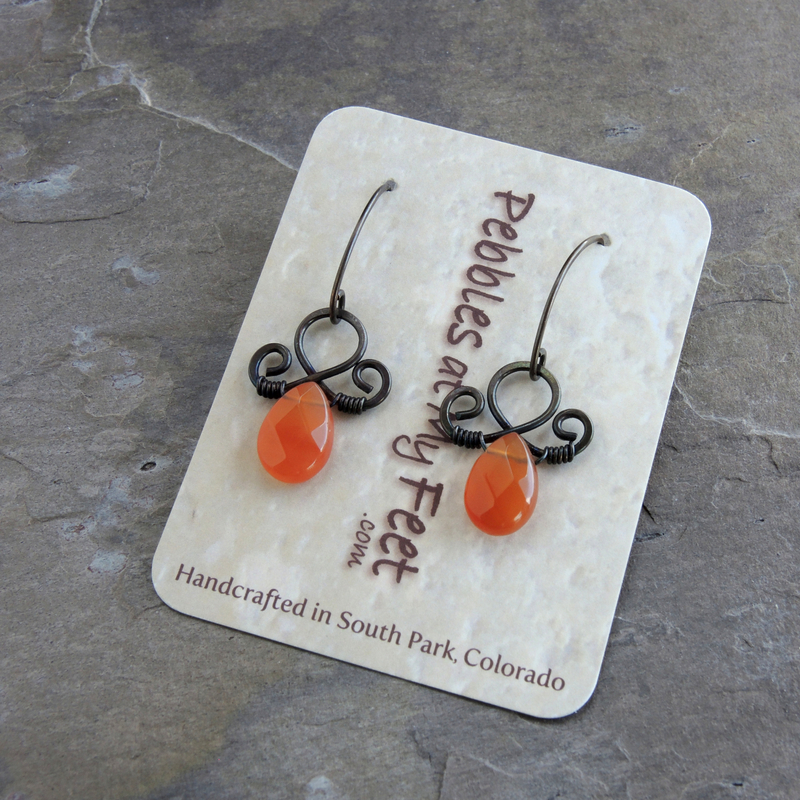 The design of the wire work is very simple, curving and scrolling just enough to add interest to the earrings while showcasing the stones. 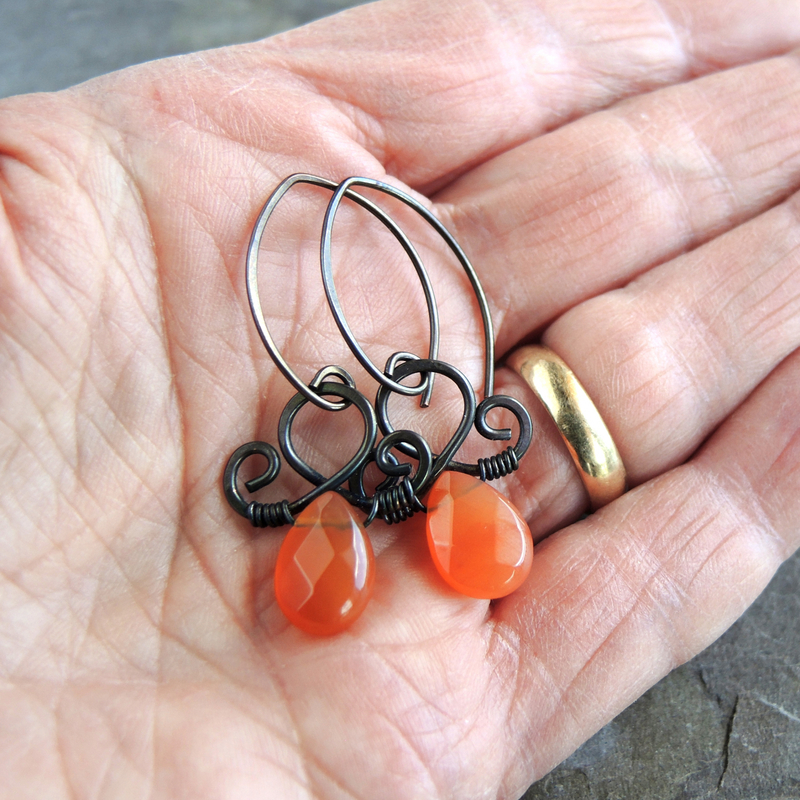 I securely wrapped the carnelian teardrops onto the copper flourishes using thin copper wire. The extra wraps add dimension to the wire work and a bit of coppery glow where the features have been buffed. The elongated almond-shaped ear hooks, also of dark copper, are simply elegant adding just the right touch for the fancy stone and wire ornament. These flirtatious earrings would make a lovely 7th wedding anniversary gift and this is traditionally the copper anniversary. Carnelian is also an alternative birthstone for July.